The Blonde Salad is now a wife. One of the world’s top fashion bloggers Chiara Ferragni married Italian rapper Federico Leonardo Lucia (Fedez) this weekend in an extravagant, Instagram-worthy wedding in Sicily, and the multiple-day event included a range of high-fashion creations, including several devoted to the nuptials alone. For her rehearsal dinner, Ferragni wore a custom, glittery white dress by Prada featuring a gold embroidered plunging neckline. The gown itself was a gift from the Italian fashion house helmed by Miuccia Prada, the granddaughter of the founder of the label. On her actual wedding day looks, Ferragni worked lovely alongside Maria Grazia Chiuri, the creative director of Dior, to step out in two gowns. For the ceremony, Ferragni chose a sweeping ballgown featuring a lace, sheer, embroidered bodice. “Yes I do, forever,” she wrote on Instagram alongside a full-length shot of her gown at the ceremony site. 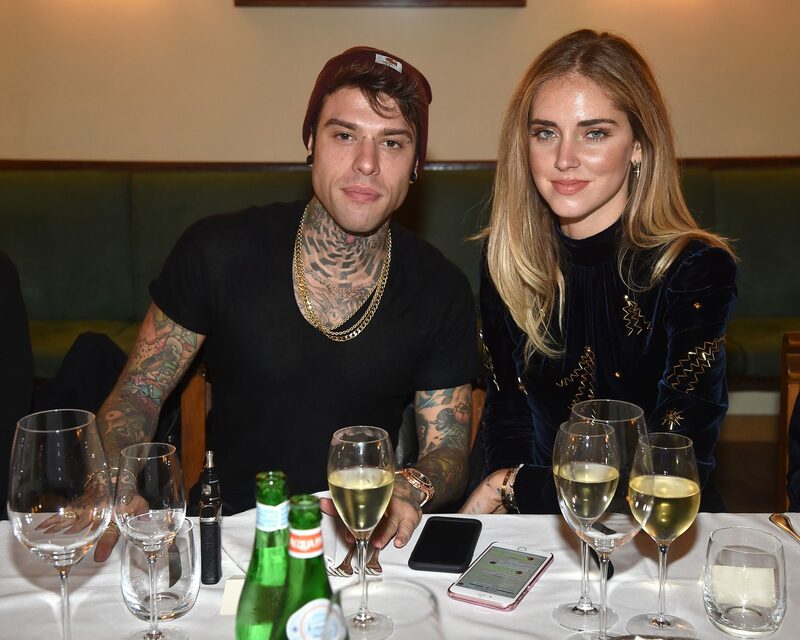 Ferragni swapped into a second dress for her reception—another custom Dior Haute Couture gown featuring sentimental embroideries and symbols from when Fedez (whom she affectionately refers to as “Fede”) proposed. The engagement featured a song the rapper created himself, and those lyrics came to life with appliqués on her gown. “Thank you @dior for creating the dresses of my dreams and these wonderful gifts,” she wrote. The couple share one adorable baby son named Leone. Along with high fashion, the couple’s wedding included fireworks and a ferris wheel. Check out all of the photos below. Be the first to comment on "Fashion Blogger Chiara Ferragni Is Married: See All of Her Wedding Dresses From the Weekend"